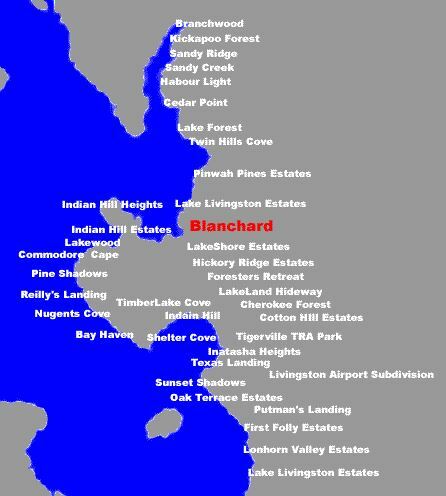 Blanchard is a popular place to live at Lake Livingston. It is located near several communities along the shores of Lake Livingston. It is near the Livingston Municipal Airport, and Livingston State Park. Blanchard is about 6 miles from the town of Livingston, where you can enjoy shopping, and dining. 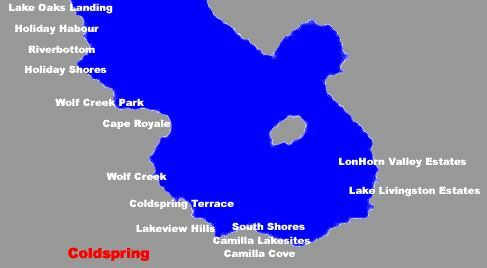 There are several small communities that surround the lake near Coldspring. 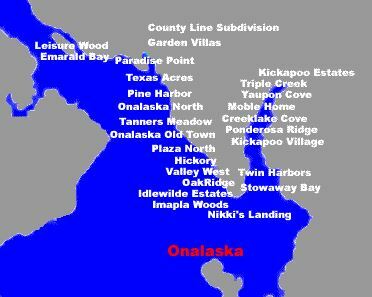 There are several small communities that surround the lake near Onalaska. Some of them are located along the waters edge. 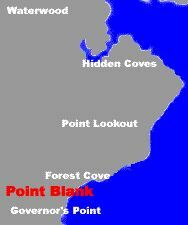 There are several small communities that surround the lake near Pointblank.